With all the leaks leading up to the Frankfurt Motor Show, we knew this one would pop sooner rather than later. 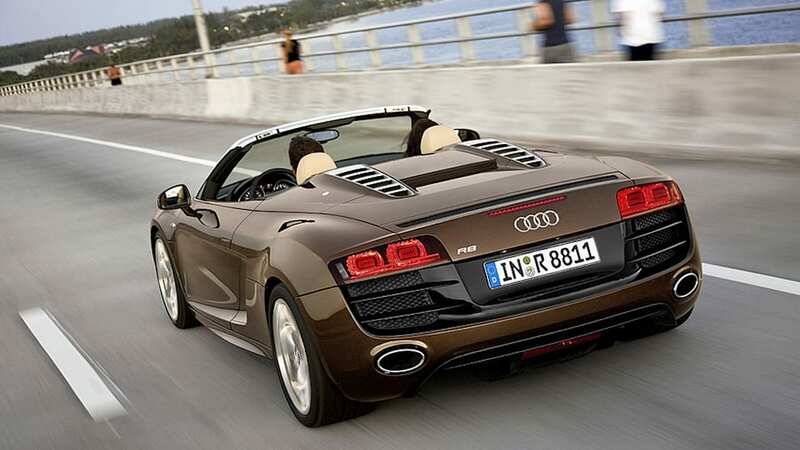 And here it is: the Audi R8 Spyder. No more spy shots or speculation. 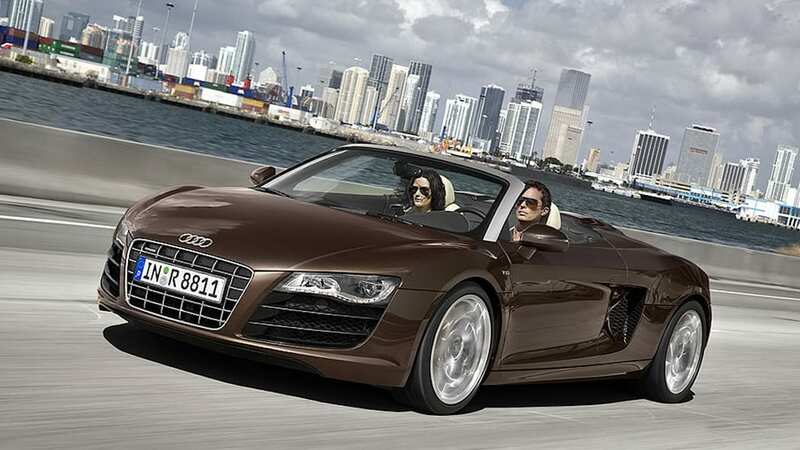 The drop-top bomber from Ingolstadt has arrived... and it's achingly gorgeous in this chocolate hue. 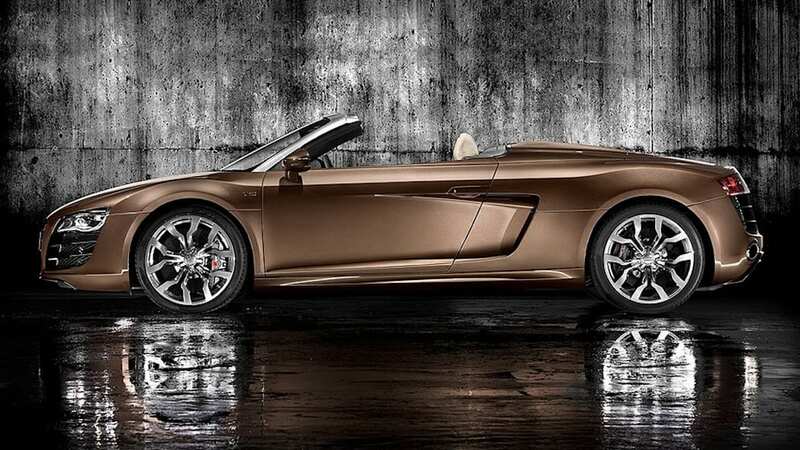 Without any official information to go off of, we can't comment on weights and measures, but we do know Audi will only be offering the Spyder with the Lambo-derived 5.2-liter V10, putting out 525 hp and 390 lb-ft of torque. On the styling side, there's not much to report. Along with the removal of the roof, the sideblades have been dispatched in favor of a duo of scoops ahead of the rear wheels, while the windshield gets framed in brushed aluminum and a set of vented bulges trail off from the seats. 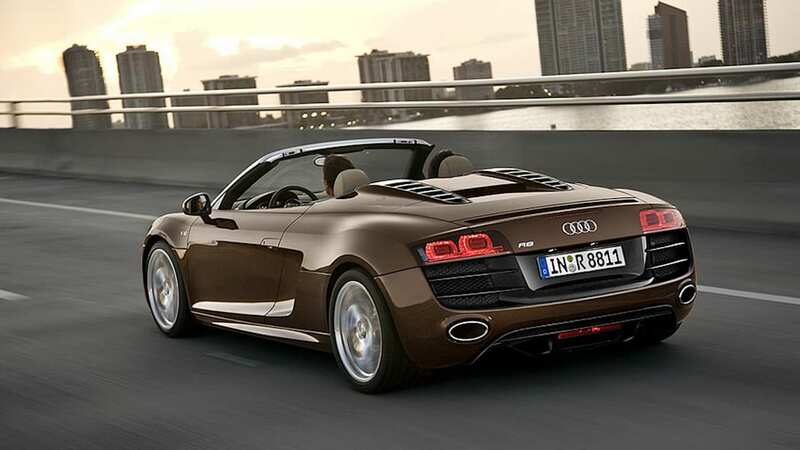 Unfortunately, we don't have any shots of the R8 with the top up, but when we get an eyeful in Frankfurt, we'll get our first glimpse of the retractable soft-top and the R8's new profile. Until then, check the images in the gallery below.